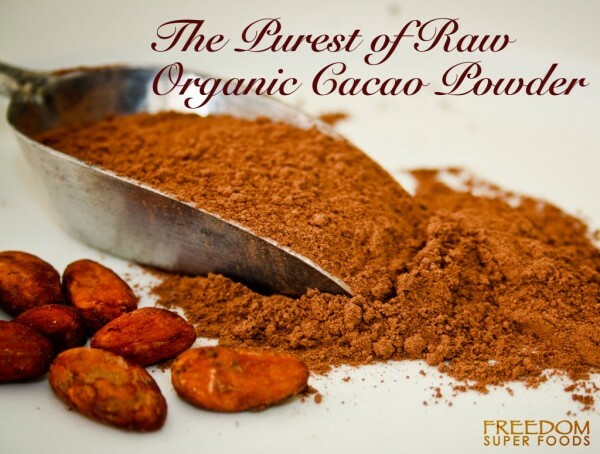 I couldn’t wait to open up my bag of raw cacao powder from Freedom Super Foods. Inside the bag was this beautiful fine, silky smooth chocolate powder. Yum… It smelled heavenly! I had to taste it right out of the bag. I didn’t know what to expect since it was unsweetened and raw cacao powder. It wasn’t bad. It had a nice dark chocolaty rich flavor. 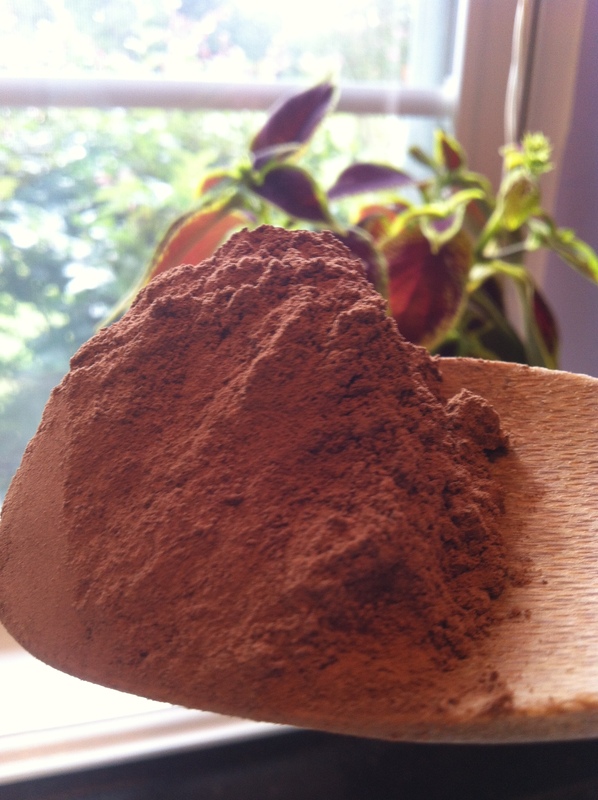 When you order your bag of raw cacao powder you will also get an e-book with some recipes in it. There is a brownie recipe included but it has gluten in it. I needed a Paleo recipe for brownies, so I researched online and tested a few recipes and came up with my own super moist and chocolaty Paleo gluten-free brownie recipe. I hope you love these brownies as much as I do. I really love the flavor the raw cacao powder gives the brownies plus I feel good about all the nutrients, flavonoids and antioxidants that are in the cacao powder. 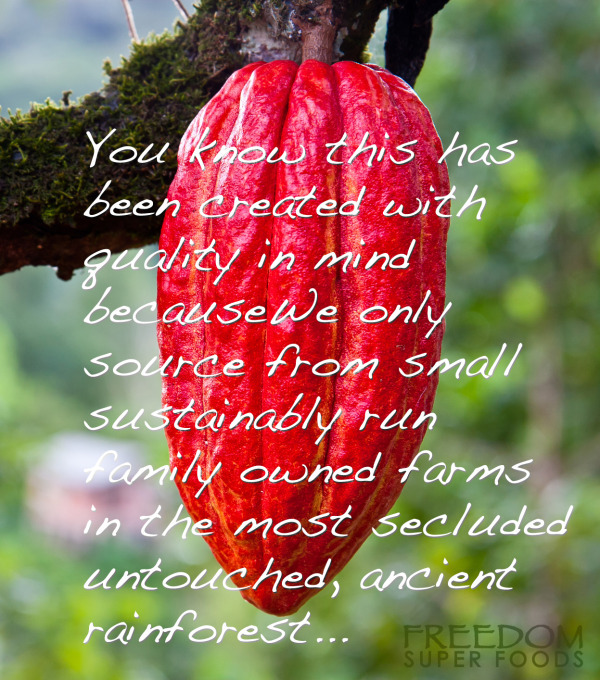 To purchase your own bag of Freedom Super Foods Organic Raw Cacao Powder on Amazon click here. 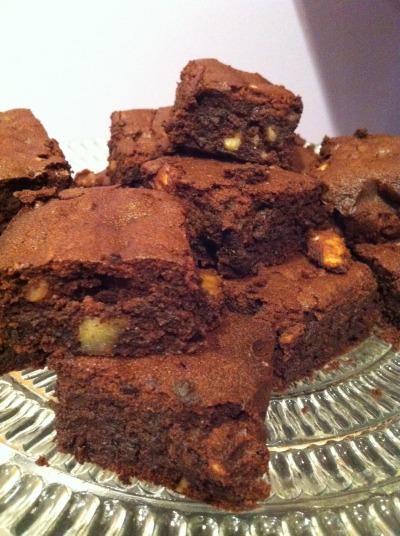 Delicious and moist Dark Chocolate Paleo Brownies that are gluten and dairy free. Made with raw cacao powder from USDA certified organic cold-pressed beans. Beat the butter, coconut milk, vanilla and cacao powder with a hand mixer until mixed well. Add the coconut sugar and salt and continue to mixing. Add the eggs and flour and mix well with your hand mixer, but don't over beat the batter. Fold in your nuts and mini chocolate chips until evenly distributed. Line your baking dish with parchment paper and apply a coating of coconut oil to the paper. Add brownie mix to a 9"x 9" pan and bake. Lift out parchment paper and brownies and put it on your counter. 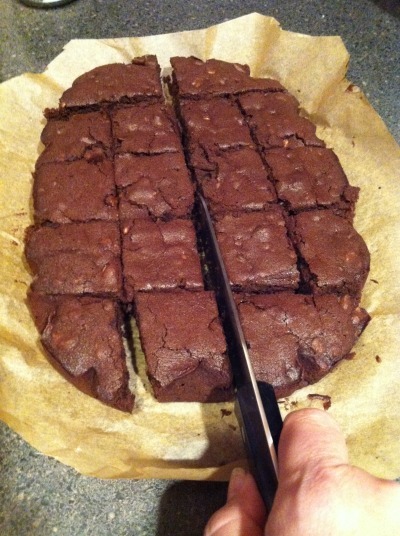 Now it is easy to cut your brownies into small pieces. 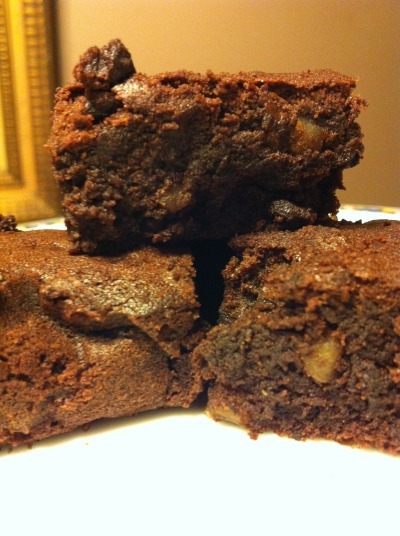 The Paleo Raw Cacao Powder Brownies look delicious, I can’t wait to give them a try. Thank you for sharing this review and recipe.